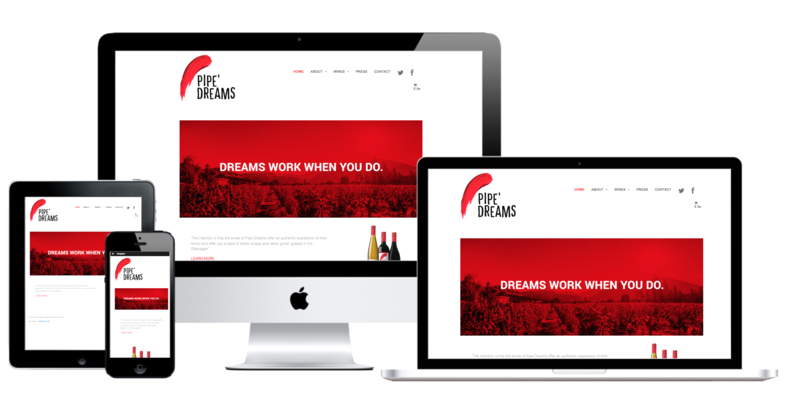 Pipe Dreams Winery was a new winery in Oliver, BC, when we built their debut site. We worked with designers at Town Hall Marketing who conceived of the clean, minimalist look and provided copy and images. 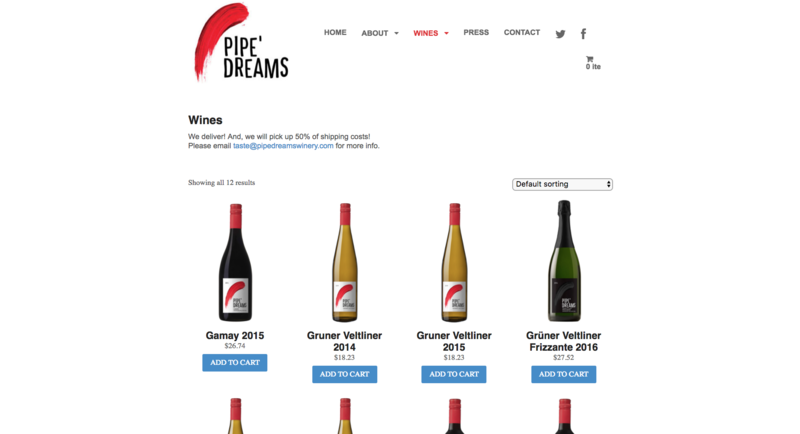 The site includes shopping functionality that allows Pipe Dreams Winery to take orders and ship wine across Canada. A 360-degree video allows visitors to view the retro-theme tasting room.